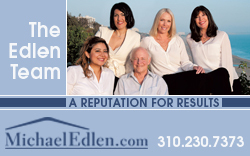 In the Post dated Dec. 13, there were two advertisements placed by stores at the Caruso Palisades Village. One was placed by Cuyana, which sells expensive gifts, and the other by Vintage Grocers, who offered $25 off on $100 holiday dinner. I think Vintage Grocers would be better advised to offer weekly specials on specific items to which most readers/customers could relate. 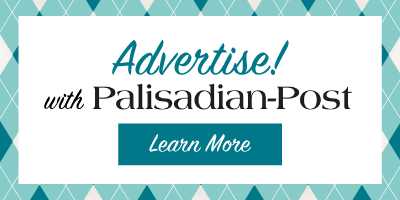 Further, I would think Caruso’s marketing people would place an ad each week for the Palisades Village website. I searched through the internet and found it. Your paper ran an article about the dinners/food available at the Bay Theatre; however, no mention of price. There was also an article re: “Mary Poppins” playing at the Bay. I think it would be informative to list definitive information regarding parking at the Palisades Village with respect to how much time for free parking and how much time available with a validation from a merchant. And what is the cost if there is no validation. Personally, I and others wish success to the merchants at The Village; however, there is pretty unanimous belief that in a year or so quite a few of the lessees will be leaving. Too many of the stores are very expensive and fill a niche—they do not appeal to a broad section of shoppers. And in spite of the attractiveness of The Village, the Pacific Palisades is not a shopping destination. There are some readers who have expressed their opinion that they wish the Swarthmore shopping area had never changed and they wish that the Palisades would be a wonderful residential area as it was years ago and still remain as such. Prior to The Village, Swarthmore was an eyesore with vacant stores that definitely needed upgrading. However, the family trusts that owned most of the property on Swarthmore would not spend a nickel on upgrades. Perhaps in the future Palisades Village will include stores with more affordable and universal appeal such as a Levi’s store, etc. Many people have said that they enjoy walking through the Palisades Village but they cannot afford most of what is for sales in the stores. By the way, anyone interested in a one or two bedroom apartment above the stores overlooking Sunset—you can rent one for $18,000 to $28,000 per month. Crazy. Hello my name is Henri Gibson from Boy Scout Troop 223. I love the new movie theater and shops at Palisades Village, and I want to say thank you to Rick Caruso. I love what you did to the Village. My mom loves that it’s safe for me to go to the movies and eat dinner and hang out with friends there. In trying to get more people to join me in having the photovoltaic panels on the roof, I have encountered the difficulties with some of the local community homeowners associations. It seems that some of these associations are governed by people that are not seeing the future of this planet as needing to reduce, if not completely eventually eliminate, non-renewable energy sources. We have had an example in the community in the cuddles of development of that indeed. The company has put up photovoltaic panels on their new project. Why is it that we don’t have more of that in our community? As I said in my previous editorial in the Palisadian-Post in the Nov. 15 edition, the original placing of thermal solar panels more than 40 years ago on my roof was not done for economic reasons but was done for environmental reasons. The same environmental reasons were the motivating factors in installing photovoltaic panels three years ago.